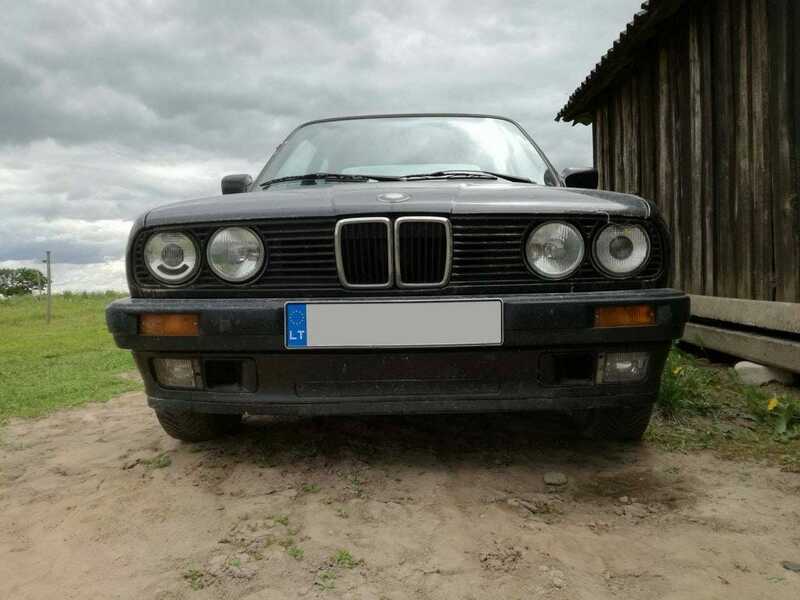 Martynas is restoring his E30 and sharing his experience with you. This time we are going to show and tell how he prepared and painted his car without professional equipment and a ton of money. While Martynas certainly has his hands growing from the right place, he had no experience in restoring cars. So hopefully this will be somewhat inspirational for you – you can do this too! 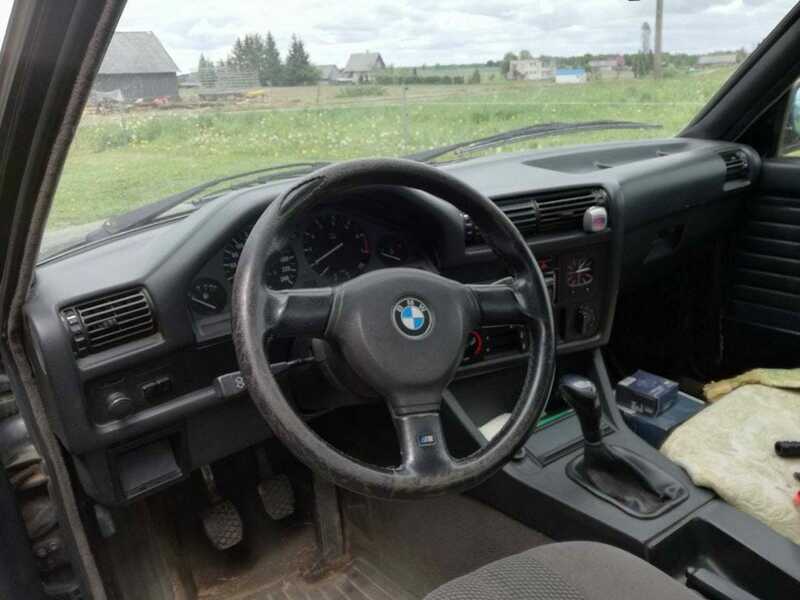 This is a second part of article series dedicated to Martynas’ E30. 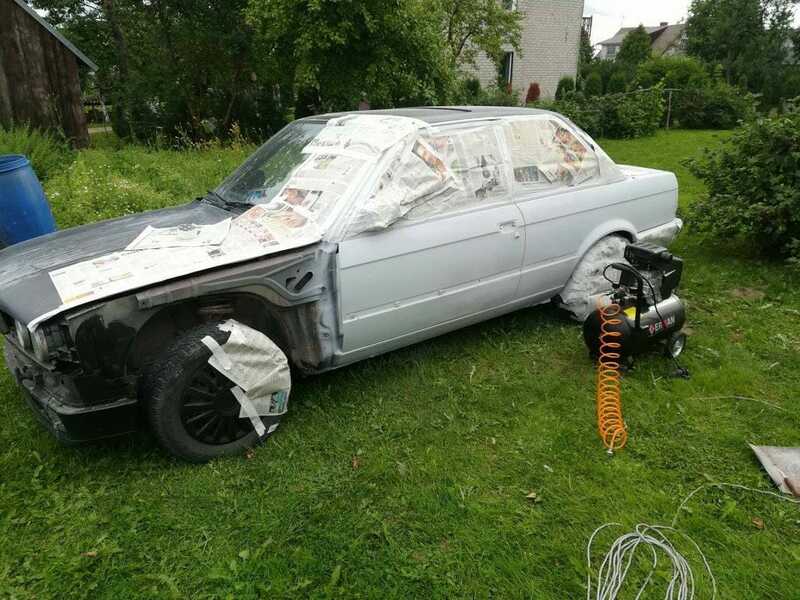 In the first article we looked over the condition of the car, main defects and Martynas’ vision of how it will look like when restoration project is completed. We invite you to read that article first. In short, this E30 was not in a good shape. However, it is an old car and it could certainly be worse. While some rust was immediately visible, it was only an indication of what can be found underneath some of the body pannels and the layer of paint. So the first step in preparation for a new paintjob was removing fenders to inspect for rust. E30 had to be partially disasembled to inspect for rust. And, of course, there was rust. 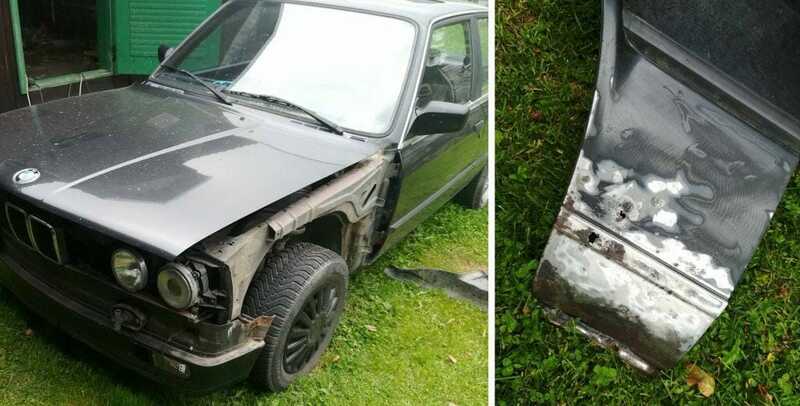 All plastic components that were on the way, such as the grill and the rear lights, were removed and then Martynas could start sanding old paint away. This, of course, revealed even more rust that was not previously visible as well as some pretty deep dents. Deep dents and spots that rusted out were filled with autobody filler. Rust was sanded away completely and bigger spots as well as dents were filled with autobody filler. As you can see in the picture, there were many spots that had to be filled and sanded flush with the rest of the body, but eventually, after several days, work was finished. Car was primed outdoors – if weather is right, you can do that without a problem. Then it was time to spray the primer. Most people think that this has to be done professionally in a painting booth. And it’s true – results should be better if you take your car to a paint shop. However, Martynas wanted to do it himself and there really is no reason not to try. While it is easy to mess up, you can always sand little drips or dust away. So Martynas sprayed his E30 just on his lawn outside of the garage. All wheels and windows were masked before this operation. Preparations for a minor modification. While results were not perfect – several insects and some dust landed on wet primer – proper sanding fixed everything. And then it was time for painting. This, of course, cannot be done outdoors. Martynas put up a temporary painting booth in a garage using just some plastic sheets. The goal is to let the paint cure uninterrupted by dust, insects or rain. His make-shift painting booth worked just fine. He did buy a good quality spray gun, but didn’t spend a fortune on it. The colour is called “Extra Black” and it seems to live up to its name. In the painting booth – just a normal garage space. One layer of paint and a couple of layers of lacquer were sprayed on the car. Paint layer was pretty much perfect, but there are some drips in the clear coat. It was made thicker for this exact purpose – imperfections will be gone in polishing. Before plastic parts were put back into place. This is how the car looked like after it was assembled back together. And this is what the new exhaust looks like. 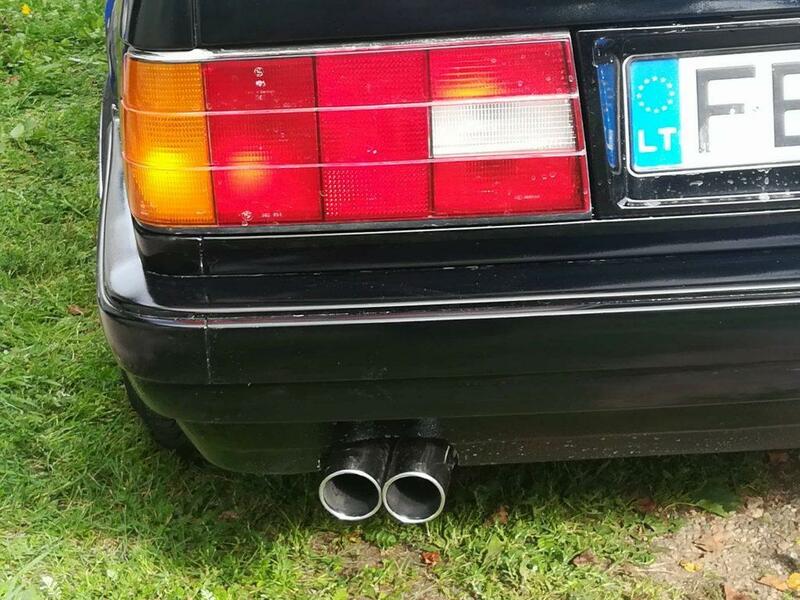 E30 now has double a double tip exhaust. But more about the wheels and how the car looks with them in the next article. Soon it will be time to start working on the interior of the E30, which is not in a good shape at all. If you have any questions about the build, you can ask them on our Facebook page or via email nodum2017@gmail.com. BMW 3-series E30 is kind of a weird car. While it is not rare or particularly beautiful, many car enthusiasts are craving to get their hand on one. 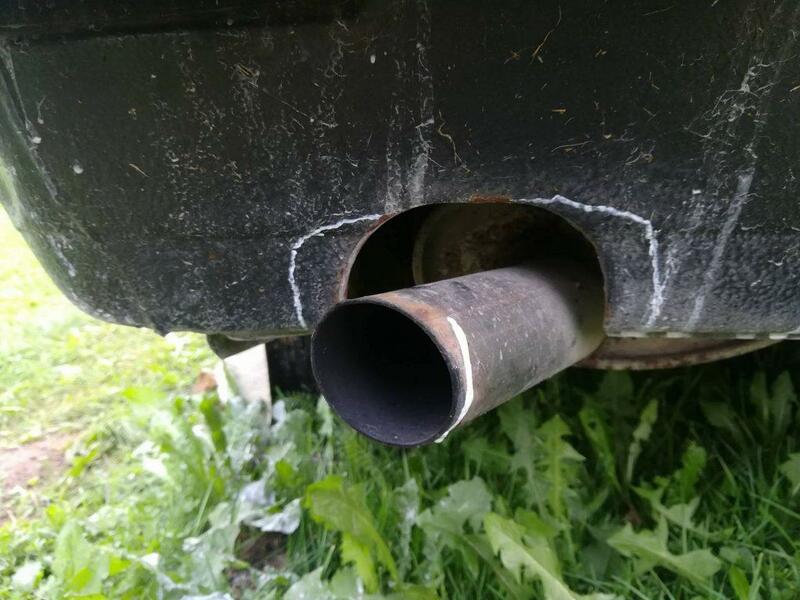 Martynas is one of them and currently, while you are reading this article, he is working on making something that will turn out to be his dream car. And we will follow him on every step of the process. 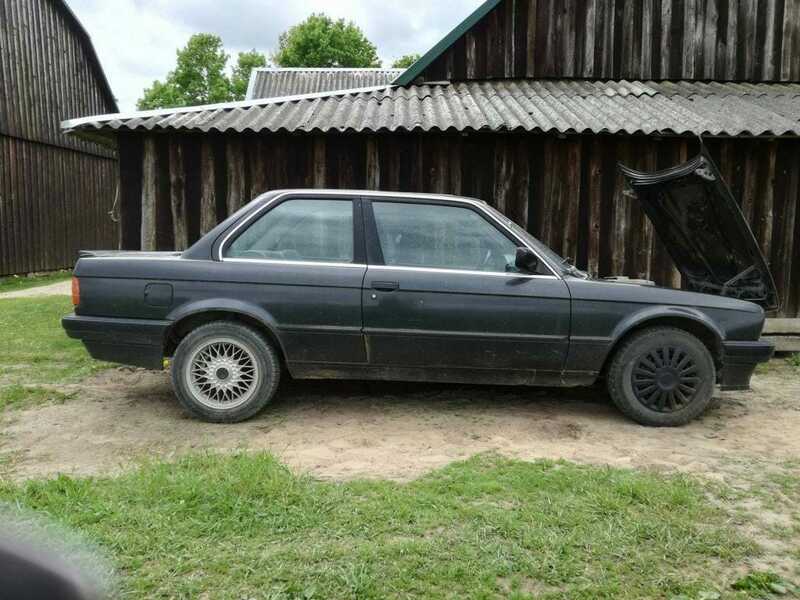 While E30 is not a rare exotic car, enthusiasts like Martynas like it for how it looks. Its design – straight lines and sharp corners – stand out from the traffic flow in a modern city. Also, it is quite a small car, which seems to be perfectly proportioned. And because it is not rare or historically valuable, you can have fun while restomoding it to perfection. 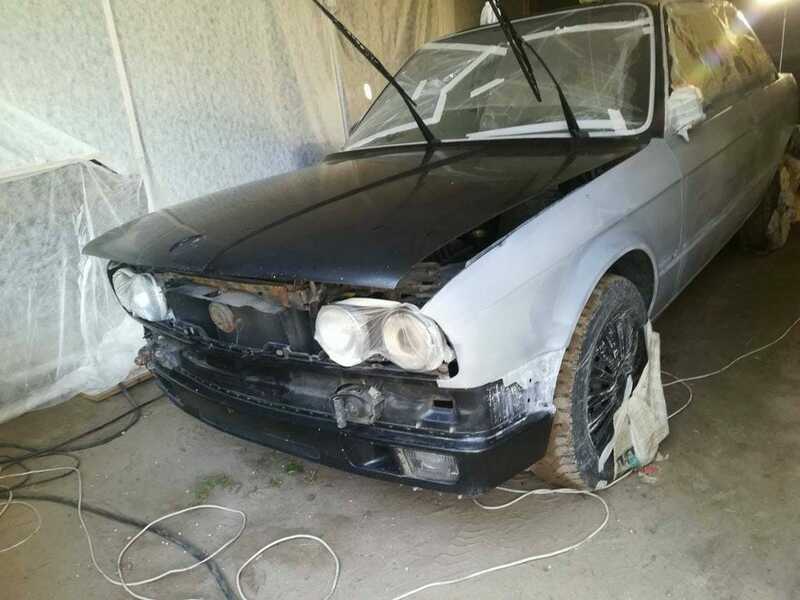 Martynas’ E30 will get its uniqueness, which it is lacking now, in the process of restoration. What is it? 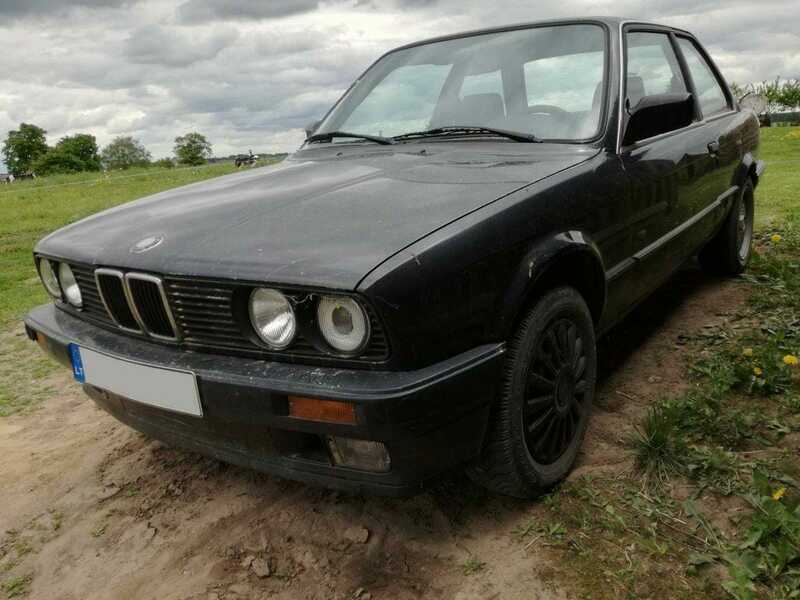 It is a 1990 E30 coupe with a 1.8 litre 113 AG (83 kW) engine. During its decades of service, this car was never babied and it reflects in current state of the vehicle. 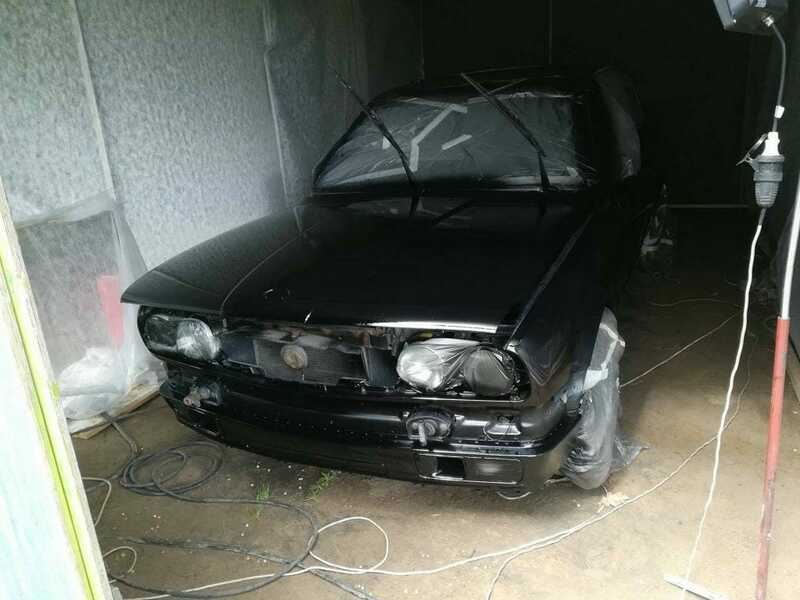 An old E30 ready to be reborn for a new life. 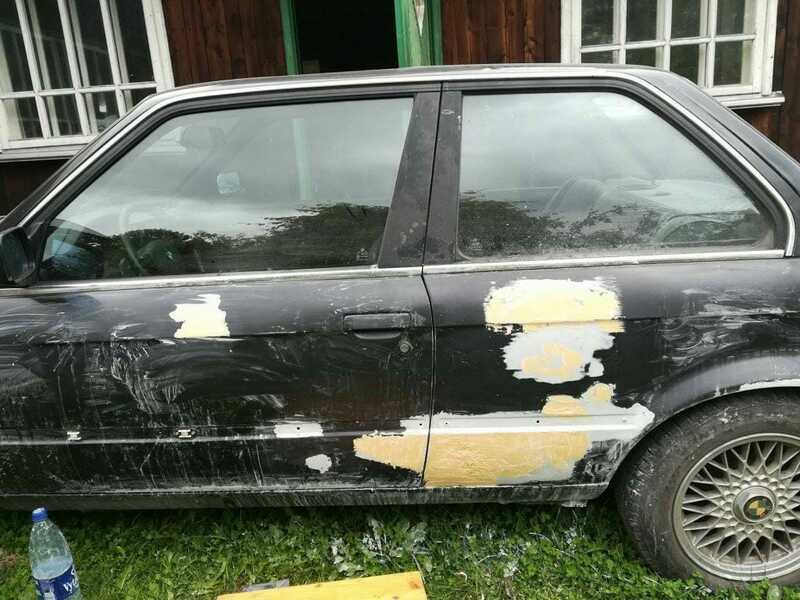 We have to say, while it is old and crusty, Martynas’ E30 is definitely not too far gone. The biggest mechanical faults came from neglect – this car has been left standing outside for some time. However, it does start and drive for a little, although some of its suspension components are in urgent need of replacement. That is not really a concern as Martynas would’ve redone entire suspension anyway, since he wishes the car sits lower and handles a little bit sportier. It is E30 from 1990. Engine is producing some unpleasant noises. It is probably a faulty compensator, but a major overhaul is needed. Again – nothing too dramatic. Martynas is considering a new engine – something with more power and nicer singing voice. We will see if he fixes this engine and keeps it or replaces it with something more special immediately. Engine – 1.8 l four cylinder, producing 113 AG (83 kW). Currently it is making some unpleasant noises. The appearance of the car is a totally different story. Paint is in a pretty bad state, showing a lot of rust on the bottom portion of the body. In fact, the bottom of the car had to be patched up, because some places were completely eaten away by rust. Rust will be healed and the entire car will be repainted in the same colour – black. Seat is just completely worn out from the decades of use. Meanwhile interior is quite ugly at this point. 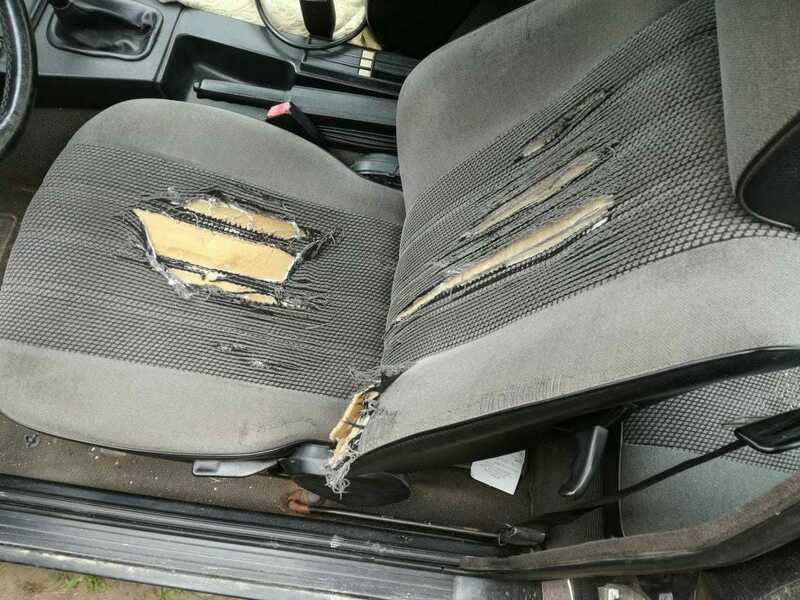 Driver’s seat is torn to pieces and steering wheel is worn away too. It is a beautiful rim too, from M Division, so it has to be restored and reinstalled. Steering wheel will soon get some new leather. All in all, this car could be quickly up and running after decent fix-up. However, Martynas’ vision is a bit different. 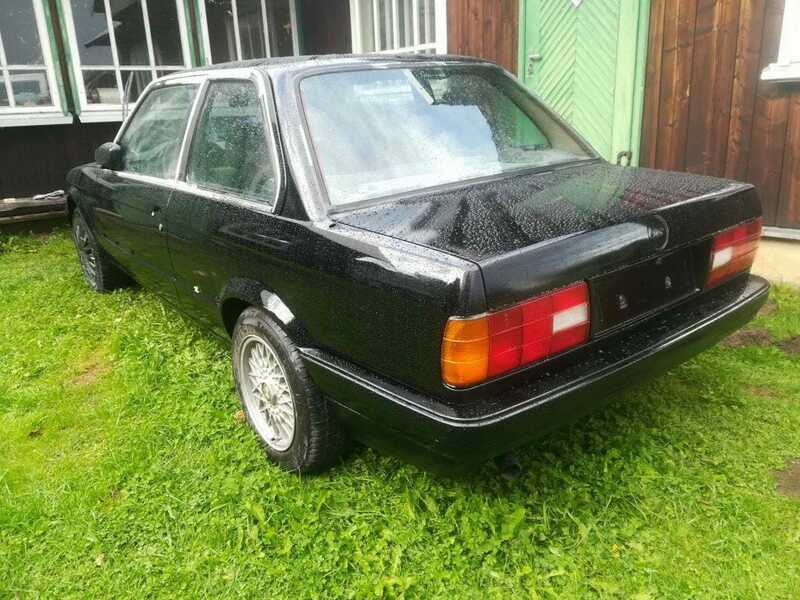 While Martynas, like many other BMW fans out there, likes the lines of the body of the original E30 there is definitely some room for improvement. And, as mentioned earlier, because this car is not original, you get to do whatever you want without the sense of guilt, which comes from ruining a historic artefact. So what Martynas will do? 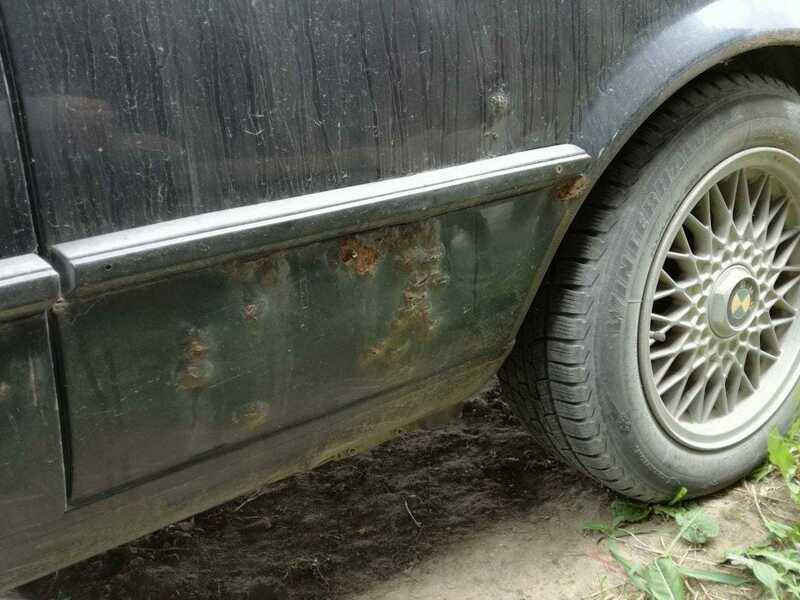 Nature wants to reclaim the metal – E30 is suffering from rust damage. 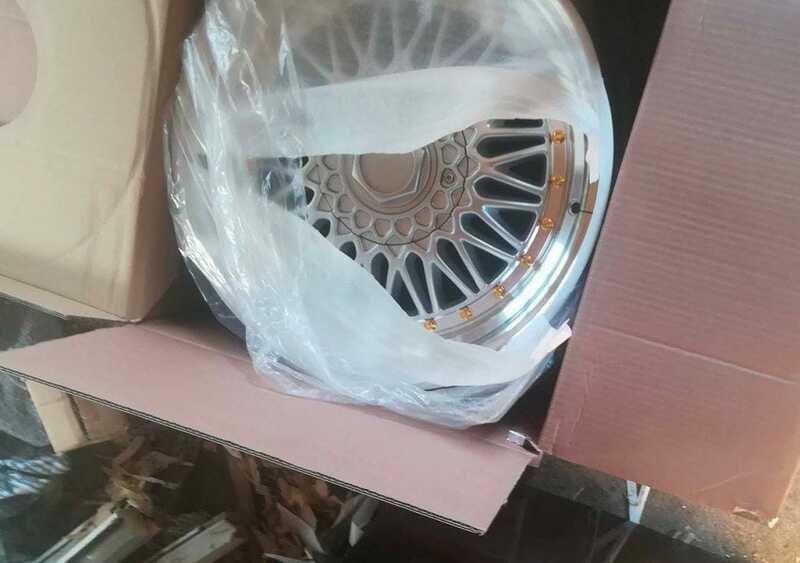 His E30 will wear original BBS rims, will sit closer to the road and will sport a fresh and shiny black paintjob. Wider wheels and lower stance will completely transform the looks of the car – coupe will look athletic and will leave no doubts that it belongs to a car guy. But appearance is just part of the story. A lot of work will go into this project to refresh all the little details. 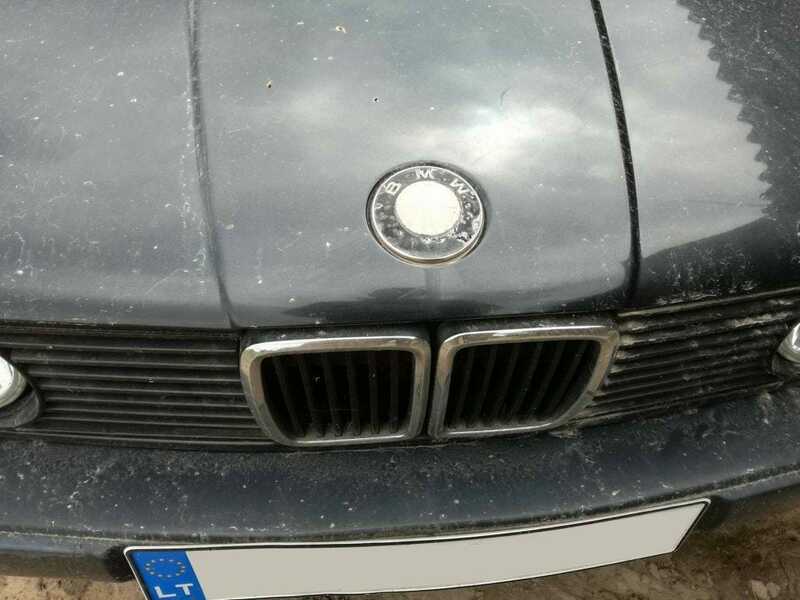 Martynas wants his BMW to be sporty. 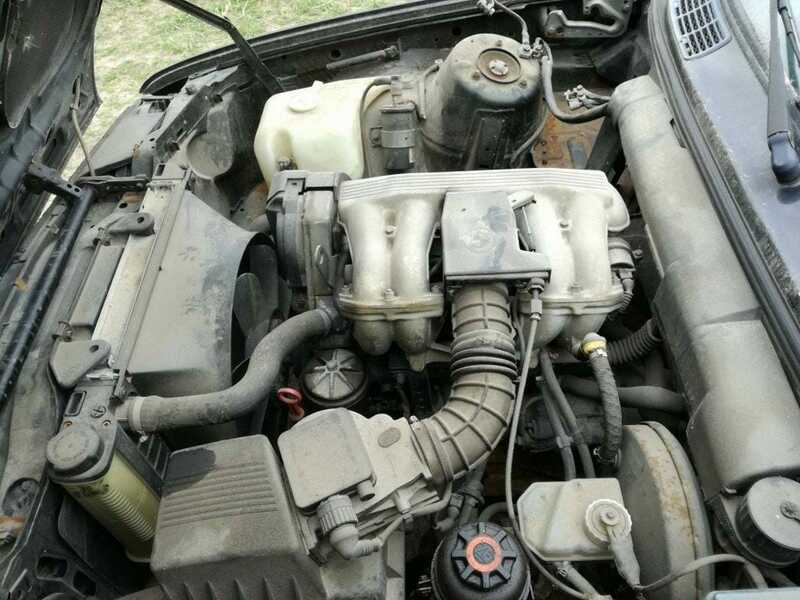 One of the ways to get more power it to install a new engine, but it is quite a complicated task and there are other options too. Because work on this E30 has already started, Nodum.org will be happy to report, which route Martynas went. What we do know is that exhaust system will be altered significantly, to let E30 breathe easier and sing nicer. And that’s about it as far as we know. It will unravel as it moves along and we will be happy to report on the progress. 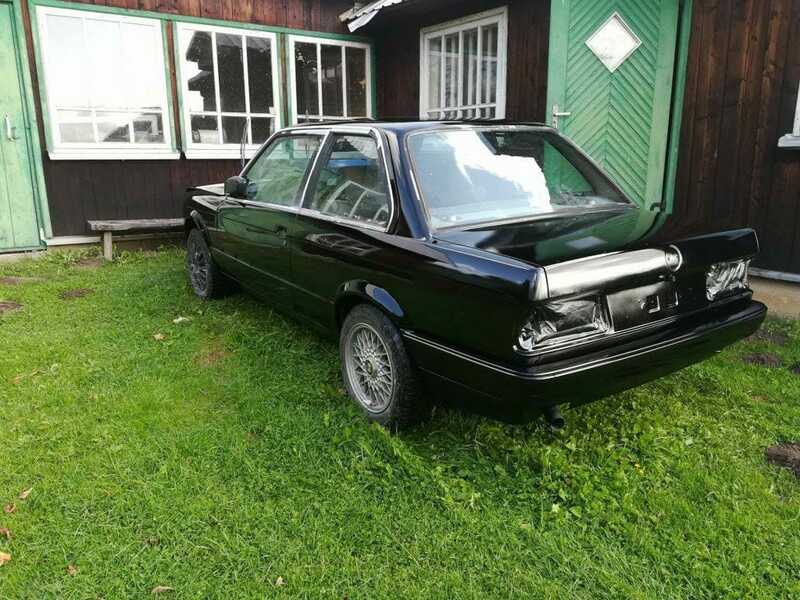 You may say that there are hundreds of E30’s with BBS rims, lowered stance and loud engine note, but we think Martynas’ one is going to be just that little bit special. And it is always interesting to see restomoding projects. If you have any questions about the project that you would like us to answer in the upcoming article, comment on our Facebook page.